All companies can benefit from providing excellent customer support. 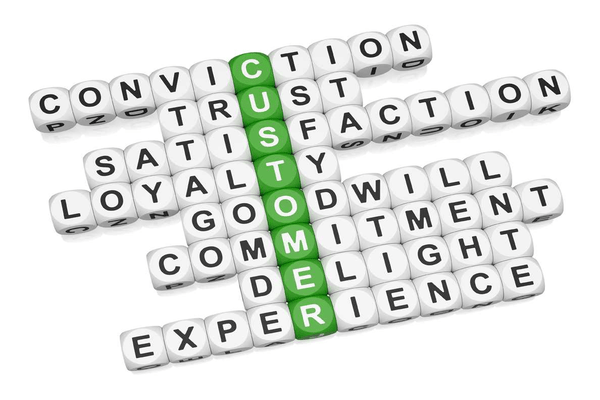 The key to a great customer relationship is actually very simple. You just need to provide a customer service level that shows the customer how important their business is to your company. The line of communication needs to be open and high quality support needs to be available to help address any issues that may arise. Companies that use GPS fleet tracking systems can use this information to provide the customers with better service in addition to managing drivers and locating vehicles. Customers can be given short service windows and accurate times of arrival. If a driver is late, the GPS tracking system can be used to find out the drivers location and the customer can be informed of a delay before they call in to complain the driver has not shown up. Your customer service team needs to go the extra mile to provide each customer with telephone assistance and a higher quality of customer service. Depending on the type of business you are running, customers need to be able to easily call your office to track deliveries or service time. The customers will really appreciate having quick access to this information. It shows that you value their relationship. The company should check in with their customers regularly to make sure they are satisfied with the service they are receiving from your company. They should be updated regularly on current jobs. Furthermore, follow up with the customer to ensure that every issue they have is resolved quickly. Providing high quality customer service should be a main focus for everyone in the company not just the customer service team. This is a key element that demonstrates the importance of supporting your customers concerns and issues, and your willingness to help resolve them. It shows that you are dedicated to your clients. Following these simple guidelines will help improve your customer service and give your company the competitive advantage you need to get ahead. Remember, you should value your customers because where would your business be without them.